When Big Storm Brewing Company first opened its doors in 2012, they were only competing with about 20 other brewing companies in the Tampa Bay area. Five years later, the Tampa Bay brewing community has expanded to around 80 companies. Despite the competition, Big Storm continues to create distinctive products that helps them stand out. With approximately 20 total craft beers throughout the year, this family-based company is fueled by creativity and hard work. 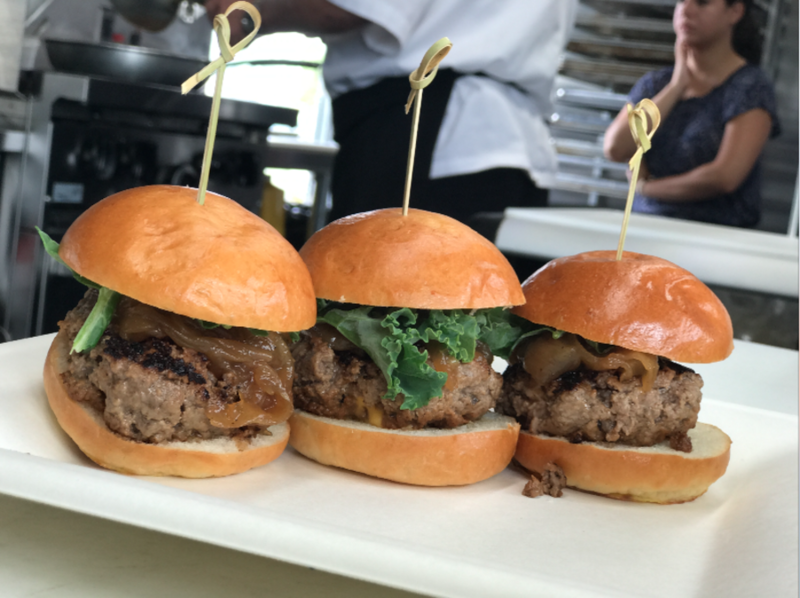 The brewing company recently added a food menu that goes beyond burgers and french fries. Executive Chef Gerry Malynowsky works with a menu where he uses beer as a key ingredient. “They’re good friends as food and wine but beer is just more subtle and it just goes well,” Malynowsky said. The menu includes contemporary American cuisine and seafood, flavored with award-winning craft brews. “We have the liberty to really talk to most of our customers and see what they want and then we just like to put a beer twist on most of our food,” Malynowsky said. “I started this crazy place,” said Big Storm Founder Mike Bishop, who has been in the brewing industry for 10 years. Bishop has a passion for manufacturing quality products. Five years ago, he opened up the first Big Storm location in Pasco with just 2,500-square-feet. In January of 2016 his team broke ground in the Clearwater location with 60,000-square-feet of creative space. Bishop works alongside his partners, who he says are like family to him. His main partner was his high school football coach. CFO L.J. Govoni has known Bishop since they were 14 years old. Bishop approached Govoni and asked him for help with Big Storm just when Govoni was thinking of starting his own brewing company. Since then, the team has emphasized creating an approachable product for everyone. “We try to make a wide range of products for everyone to enjoy. From our most discerning beer consumer to the beginners,” Govoni said. According to Govoni, the owners push creativity amongst the entire staff, from the maintenance technicians to the head brewers. The Belgian Quintupel, an experiment beer with 15.1% ABV, is a prime example of the freedom the team has when making a beer. “I think my favorite thing about our brewery is that we make a tangible product that other people get to enjoy, but we do it in an atmosphere that fashions creativity and family first,” Govoni said. “We have a team of over 40 people and everyone from our maintenance tech to our head brewer are all vitally important in the production of our product and in the selling of our product." Big Storm's Pinellas location is at 12707 North 49th Street, Clearwater, Florida. Click here for more information.